Our mission is to design and deliver automated eco-infrastructure for smart cities. All our products are equipped with mobile chargers. It's enough to plug a device into a special slot to fast-charge it. SEEDiA smart devices provide free Internet access; an automatically displayed splash page can be used for marketing and communication with the users. 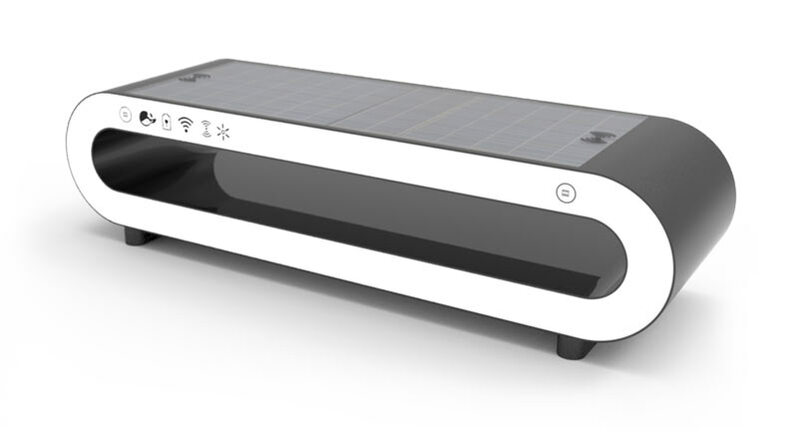 It's enough to put a phone on a designated part of the solar bench to charge it wirelessly. Our chargers work in the most popular standard, QI. Display screens on the solar benches are used for both advertisment and communication. OLED technology is energy-efficient and provides perfect visibility. SEEDiA products work on solar energy stored in special batteries and used for chargers and other electronics, effectively reducing CO2 emission. 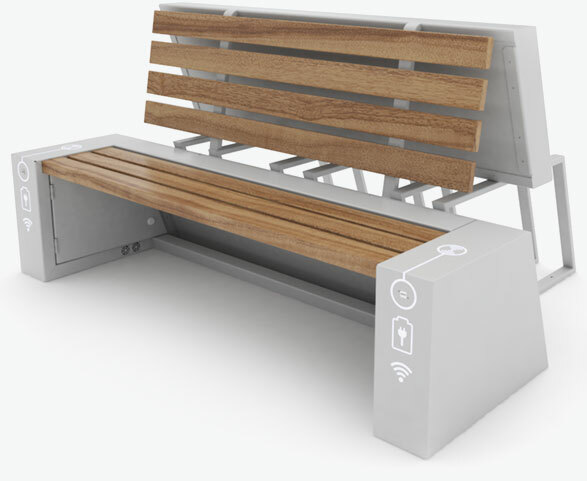 Smart City bench was born out of experience and the search for new, more flexible ways to present our designs. Apart from its unique looks and urban character, City solar bench is based on modular design, making it possible to create 4 different configurations from basic elements. Its personality is brought out by LED backlight. Urban solar bench is all about functionality. By combining modern features and necessary urban elements – bike racks, seats and urban chargers – we have created a compelling product for public spaces such as parks or plazas. Durable high quality materials used for this model are its another asset. 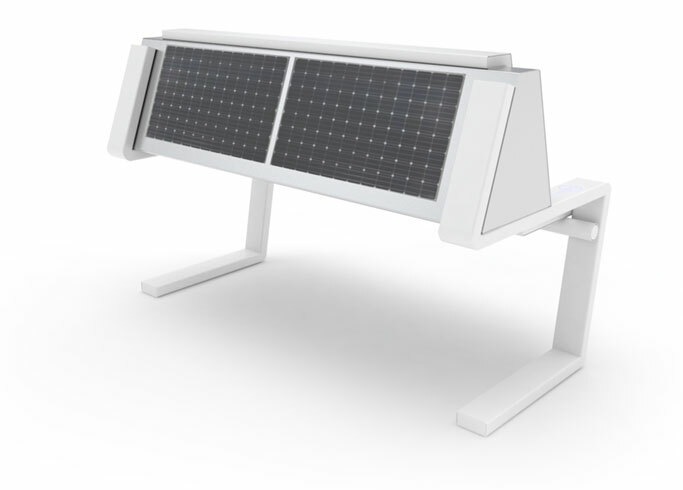 Designed to be the solar bench of tomorrow. Its simple, minimalistic construction provides intuitive usage, while its universal design perfectly fits modern plazas and industrial interior spaces. Side LED lamps allow to adjust its colors to the surroundings. 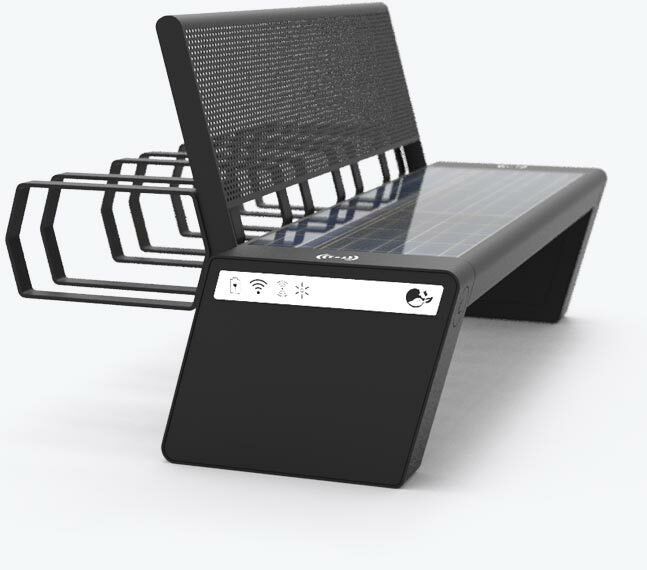 This solar bench combines bold design and functionality of smart infrastructure. Its innovative shape is a perfect match for modern office spaces that take care of their image. Designed to stand out. Designed to inspire. We chose SEEDiA due to its intriguing product design, flexible approach to the client’s needs and most extensive offer of indoor and outdoor devices, as well as our desire to support a young, Polish company.